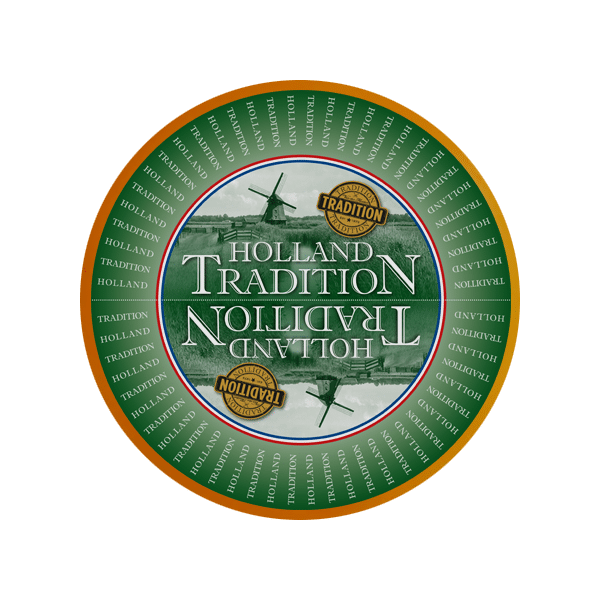 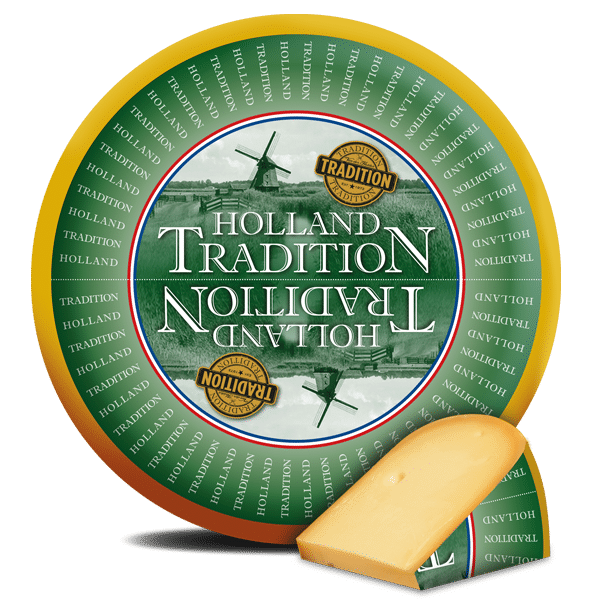 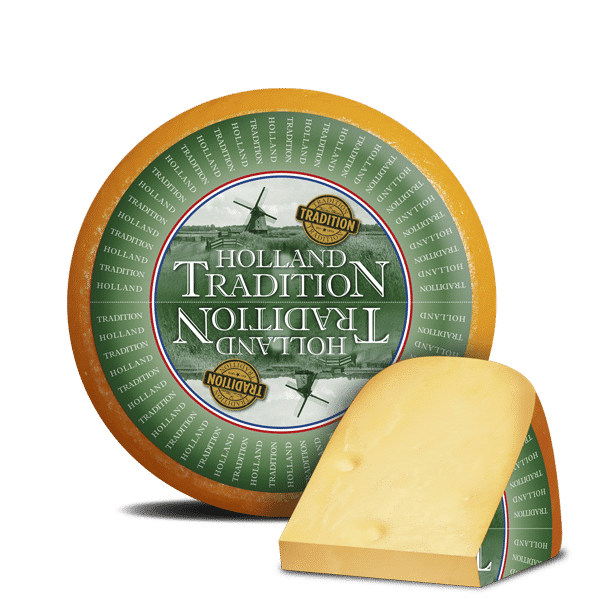 Holland Tradition Mild – 48% f.i.d.m. 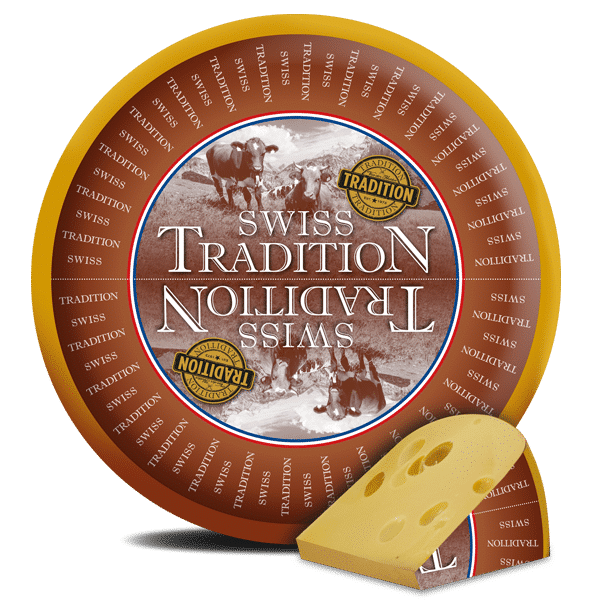 Swiss Tradition – 48% f.i.d.m. 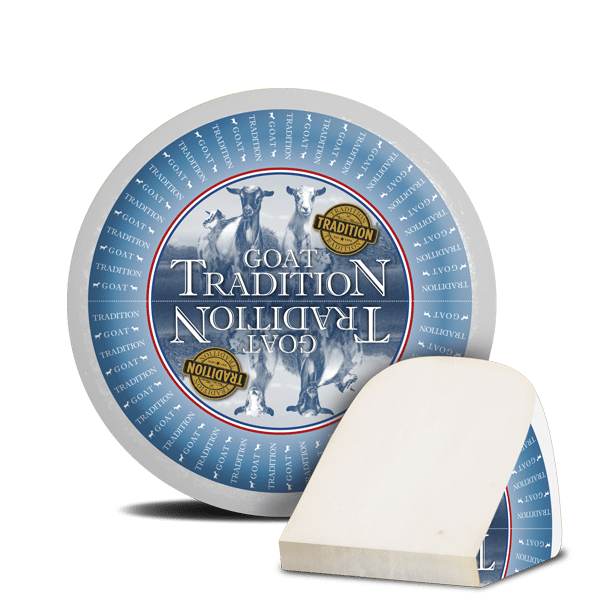 Goat Tradition Mild – 48% f.i.d.m. 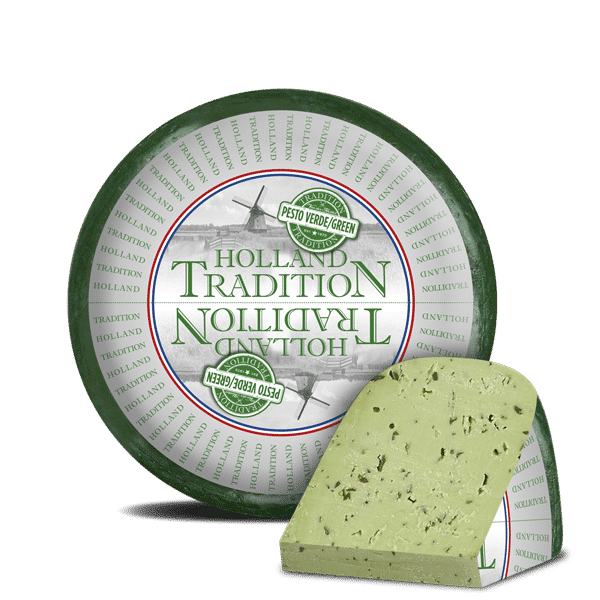 Holland Tradition Green Pesto – 50% f.i.d.m. 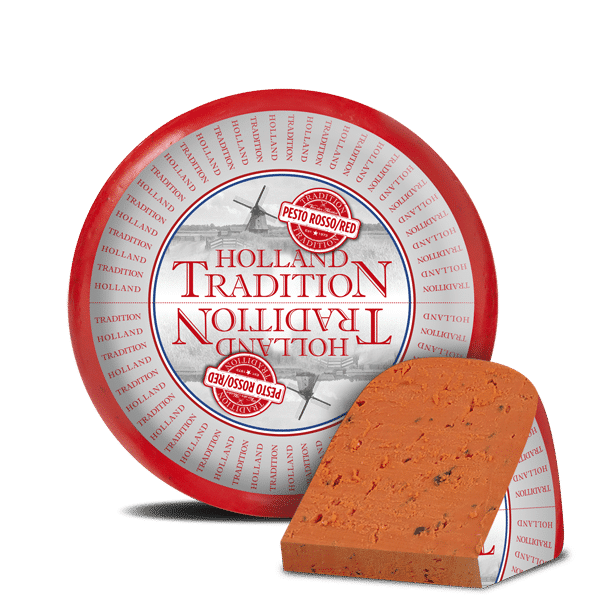 Holland Tradition Red Pesto – 50% f.i.d.m. 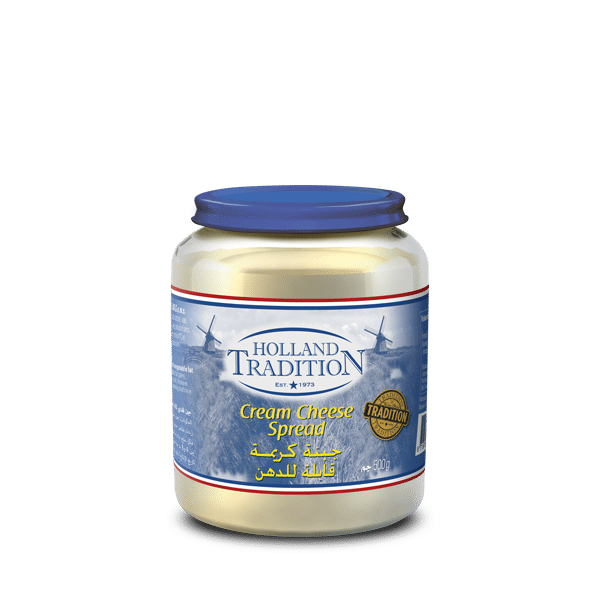 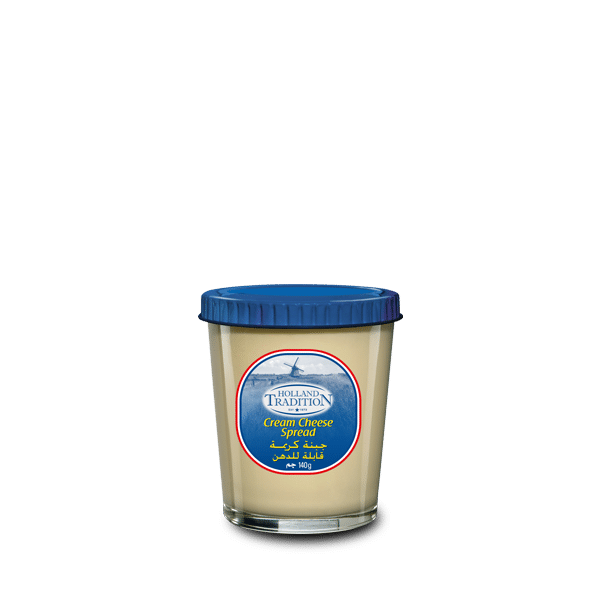 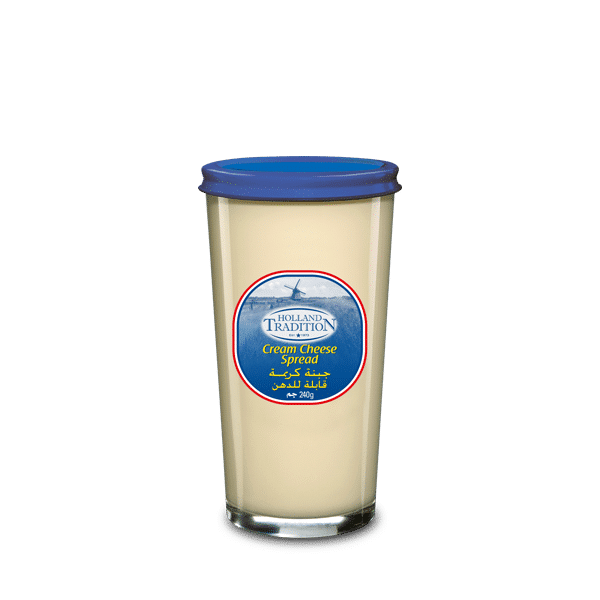 Processed Cream Cheese Spread – 65% f.i.d.m.